Ready for all the compliments? Because this dress is a flatterer. Our streamlined jersey dress makes for a lean, ultra-flattering silhouette that feminine, yet totally HR-approved. With a swingy skirt and slight scooped neckline, it's both office- and OOO-appropriate. (You’re welcome.) Made in NYC. 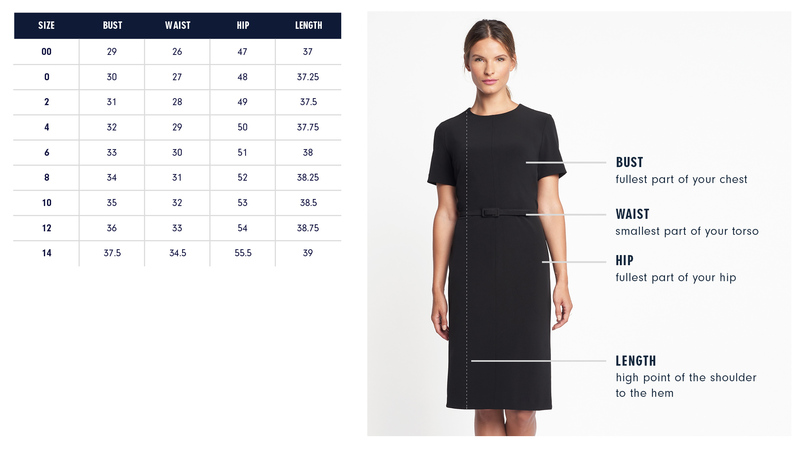 Exact measurements of the Rubin Dress are below. All measurements are in inches. For general brand fit, sizing, and measurements, please visit our Brand Fit & Size Guide.